So I am brand new to the hobby and, with the help of Flite Test, I have dove into the hobby head first. In the past two months I've built and successfully flow the FT Explorer (kit) using the powerpack C and a 3S 2200 battery, as well as a FT long EZ (scratch), and most recently the FT Min-Arrow (scratch, see photo) both with powerpack A and a 3S 850 battery. I've also got a couple modified FT Sparrows underway. I've looked around on here and see that there are threaded rods, linkage stoppers, kwik links and many other devices to address this. For small planes in the FT mini line (Sparrow, Mini-Arrow etc.) can someone please recommend specific products they have had success with? The DuBro products seem to fit the bill but I'm not sure which ones to specifically buy. Specific FT Store products codes would help limit my confusion as I'm still learning all the lingo. I prefer the Gerat Planes Ezlinks. They are square, easy to grip with pliers. They use an Allen wrench to tighten, able to tighten much better the with a screwdriver. They have a push on back that will not vibrate lose like a threaded on end. 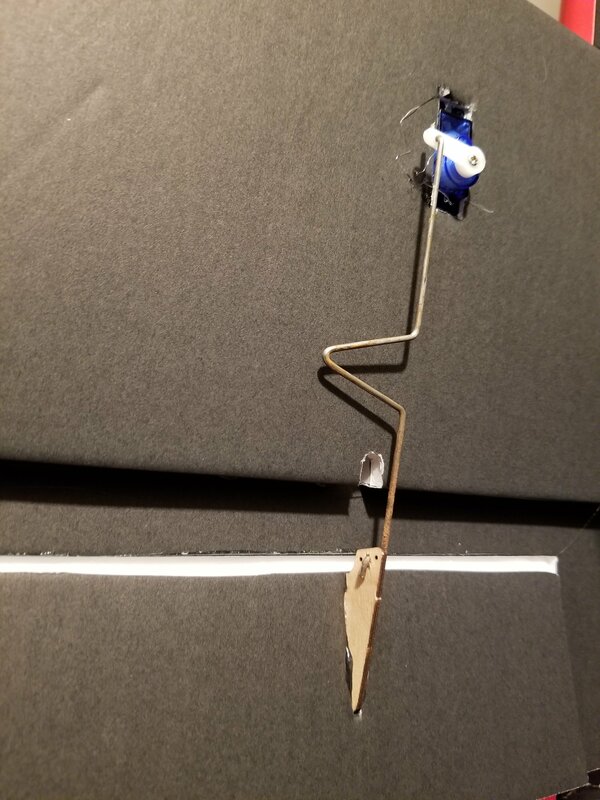 On small planes I use small servos and straightened paperclips to connect to the control horns. For adjustment I put a small "V" bend in the paper clip which I straighten or bend closer to get the exact length required. Simple, Quick, Easy, and very little cost! I save my linkage stoppers and the like for the bigger planes. I use linkage stoppers on all of mine. I keep my control rods/wires as straight as possible to lessen any flexing that might happen under load. It also makes for an easy setup. This is one of the stoppers I use, I go with the ones that have a larger hole so whether I am using .031 or .056 wire it works for both rather then one for each size. I also use linkage stoppers on all my planes. When I am out of stoppers I just go the FT way and try to get as level as possible. It takes practice like anything else but eventually you’ll get the leveled right away. Another thing I can recommend on ailerons for example is don’t break the aileron hinge until after you’ve measured the length of the push rod, that way you’ll get it straight of the bat. On one FT build videos (I think it was the Simple Scout) they showed how to do it, and I’ve been using it when ever I can ever since then, mind that it’s not always possible. I do the same thing @Hai-Lee does. Here's a picture to help you visualize the solution. You can open or close the V bend in the middle to shorten or lengthen the overall size of the pushrod. Yup, V bend, it has an added bonus of possibly saving a servo acting as a servo saver. I have also used Z bends where the servo is at a considerable different height. Did you not get linkage stoppers in you power packs? I haven’t gotten one since flitfest last year, but all three of mine came with linkage stoppers (I don’t use them very often though). The v-bend method as described above works probably better than linkage stoppers because there isn’t much to fail or give (linkage stoppers screws come out sometimes, the nut holding it on often comes off, I haven’t had any failures with them, but it wouldn’t be surprising to see). Oh, I almost forgot, welcome to the forums! The other old-school way is we used to do is linkages in 2 lengths. Put a groove or a few grooves on the end of each wire. You can even do it with carbon rods. Set your servo to neutral, set your control surface to plan neutral, put the rods on and hold them together with a clip then wind cotton around the 2 rods, then the it off then wick super glue into the cotton. As long as the cotton was wound including the grooves you won't get any movement even on the biggest planes. When I have to link two surfaces together I do a very similar method but instead of the cloth I just use shrinkwrap. I have everything centered , level, the two rods overlap each other with a piece of shrinkwrap with some UHU Por in it , shrink it and they are locked together. Easy adjustment but that is the weak spot for flexing under load, straight wire is much stronger. A nice modern update to an old technique, I like it. A tiny dab of Loc-Tite and they never come loose. On light builds this is the way I connect control rods carbon is even lighter then wire and stiffer. Something happens cut the shrink tubing away and an Exacto blade and you can get them apart if need be. I will clamp the control surfaces in place, zero the servo then glue and shrink. Don't be afraid to use it on larger builds, where the wires overlap just roughen them up a bit so the glue and shrink wrap has more to grip onto. I hear that particular argument quite often! Whilst generally true I question how much force an elevator on a mini scout or the like can actually generate in flight! The number of stripped servo gears caused in crashes by extremely rigid control pushrods is very high! With a little spring or flexibility in a pushrod often servo damage can be reduced or even avoided! As another point for consideration with regards to flexibility, I get far more flex from full span FB ailerons than I have ever got using a "V" or "Z" bend, plus the end to end flex of a pushrod that is not perfectly straight or very rigid is more than any short "V" or "Z" bend will be. By this post I am not trying to introduce any argument against any form of pushrod or its suitability but rather to state that there is more valid and SAFE methods of connecting a servo to a control surface than many people think, believe, or have actually tried for themselves! Evaluate things for yourself and if it works for you, GREAT, and if it doesn't, TOO BAD, but allow others to do and try things for themselves! I have built, flown, and distributed, (sold), many designs that use bends in the pushrods for adjustment without a single issue. Actually I purchased a hobbyzone Champ RTF ages ago which used the bends as the only linkage adjustment and it is still flying without an issue! Just a broader view of the pushrod question! On light little planes you can get away with it, anything larger or highspeed you don't want that flex, atleast I don't. 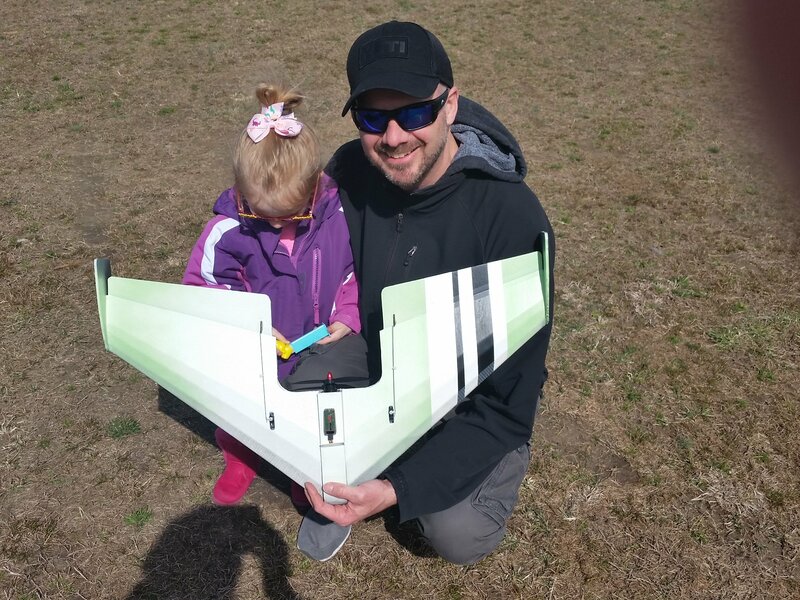 I am not telling anybody how to build their planes or looking for an argument just passing on my opinion and things I have learned since I started scratch building. Out of 300 plus servos and 98% are plastic gears I have maybe stripped 10 of them, over the course of the last 5 years I have built well over 150 planes. I have probably crashed half of them due to pilot error and to keep my inventory under 30 planes I decommission the rest after I get bored with it or I need more parts. Most of my planes are somewhat larger or higher speed ones, the 1100kv motor and 35A esc is my smallest power pack. I also did not post for the sake of argument. My message is that there are many valid solutions for FB planes and after all FT is mostly about FB planes. Sure I also do not recommend flexible pushrods for high speed or large RC models, (large in my mind in in excess of 10KG), in the same manner I would not recommend plastic geared servos or glued on control horns! My mini business has a large number of builds with about 10 a week built and test flown during peak order season. Plus a large number of prototype aircraft and others that have become gifted samples to local clubs and the like! With gifts and the like, performance and build quality are important as well as keeping the cost way way down. The "Bent" pushrods provide good performance, reliability, longevity and low cost. Hence I use a significant number of them, (without issue). As you may imagine I do not gift or provide samples of craft in the high speed or large model category, (at this time). Bent pushrods are a valid part of flying models and have been used in one form or another for almost as long as radio control has been used. There are places where they are not recommended or even to be considered but this forum is for EVERYONE flying ANYTHING. My reactive post was to point out that bent pushrods are valid in a lot of models, NOT EVERY model! Let others have your experience and even your opinions but you should identify them as just that! Just from my experience and business plan. To sum up what @Hai-Lee and @Wildthing said all options are there and have worked and still do, learn where and where not to use them.